Mato, I’d like you to look at a line from Super Mario RPG. This particular line is interesting because it was reused in PETA’s New Super Chick Sisters game from 2009. Bowser: Fungah! Foiled again! Bowser: Fungah! Foiled again! Koopa: Fungya! Bowser: Fungah! Foiled again! Right off the bat, we can see that villain is known as “Koopa” in Japanese but “Bowser” in English. This name difference has been in place since the very first Super Mario Bros. game actually, so this isn’t surprising. But this means that the name “Bowser” is completely unknown to Japanese fans. If you liked this post and know any other fans of Super Mario Bros., let them know about it. Thanks for your help! PETA made a game based on a Pamela Anderson reference… in 2009? Right on the cutting edge of popular culture there. 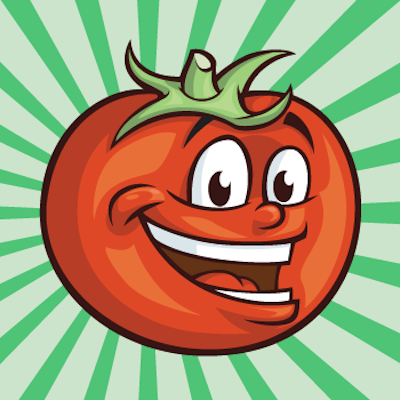 PETA is known to outsource these flash games (It was either in the game’s credits or the developer’s website), which would explain why it actually knows stuff like the SMRPG line. I’m pretty sure the Pamela Anderson part was some order from the people with the cash (PETA) though. *website that people learned the staff behind the, then popular, Robot Unicorn Attack were behind the recent Pokemon “parody”. This Is Pop didn’t make Robot Unicorn Attack, but they were behind many other Adult Swim.com games, including one called “Tofu Hunter”. Fungahhh! I remember Chupon (Typhoon) from Final Fantasy III (6) saying that. It cracked me up so hard, along with the name “Chupon”…it was just such a bizarre battle overall. I don’t think I’ve encountered the “fungah” onomatopoeia anywhere else, actually. I wonder what it’s supposed to signify…some sort of giant beastly growl/roar? I decided to leave that talk out for now since it sort of strayed from the topic. But I’m still not fully sure what funga and fungya mean, it seems they’re onomatopoeia that have different meanings in different situations (many of which are cat-related for some reason) so I wanna do some more research and possibly ask some native speakers about it. In the case of Chupon (which should’ve been translated as Typhon or Typhoon I later learned), though, it’s most likely the sound of a stuffed-up nose. Bowser’s line to me came off as a reference to the Mario games’ mushroom theming… at least in English. If Bowser says “Fungya” after being defeated in battle, isn’t it likely that that’s just 倒語 of ぎゃふん? That was actually my first instinct when I took the Mario RPG screenshot, but looking into it I found ふんぎゃ is used as a cry for a bunch of other situations. A few are mentioned here: http://detail.chiebukuro.yahoo.co.jp/qa/question_detail/q1028667895 but looking through blogs and sites and videos I’ve found it used in other ways too. I really wanna take a closer look at the phrase someday for my own learning’s sake. Isn’t “fungya” just some incomprehensible cry? 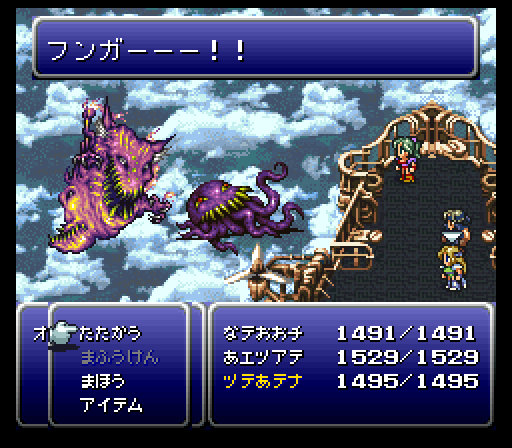 You pointed it out numerous times in your FF4 localization comparison that the monsters sometimes uttered nonsensical cries when they were defeated. And it’s nothing new in anime either, as many monsters and creatures let out weird sounds all the time when they’ve lost the battle. Sure, that’s a possibility, although in this case it’s something that I recognize and that isn’t just some made-up sound. It’s a phrase used in many situations apparently, from babies crying to being angry to a reaction-to-pain sound to some sort of cat sound to other stuff. If Americans know that Bowser is Koopa, shouldn’t the Japanese know that Koopa is Bowser? Why would they? Americans know the Koopa name because he’s called King Koopa sometimes, and the normal turtles are Koopa Troopas. And there’s stuff like the Koopa Kids, etc. But “Bowser” never went back to Japan. It seems that the internet lets people immediately know about any name change, no matter how minor. Or is that only when playing games from another country? Sure, but only the really curious fans actively seek out Wiki articles and sites like this one; that he’s called Bowser in America wouldn’t necessarily be common knowledge to average gamers in Japan. It certainly wasn’t common knowledge in the States prior to Mario 64 that Princess Toadstool was called “Peach” in Japan, for instance. Worldwide, they’ve retconed “Ivo Robotnik” as his given name, and “Eggman” as the name actually used. Wasn’t SA2 developed in the US though? Looks like a US studio that has Japanese developers. Actually, there has been some mention of the name “Bowser” in Japanese media. More recently, the disc art for the Super Mario 3D World soundtrack has the name “Bowser” on his drum kit: http://www.mariowiki.com/images/b/bb/Soundtrack_JP_-_Super_Mario_3D_World.png (Character spoilers behind that link, in case anyone who cares doesn’t know already.) That’s even for an as-yet Japan-exclusive product, I believe. There may be more I’m not aware of, but even just from this, it certainly seems that the Japanese are indeed aware of the “Bowser” name. EDIT: You know, now that I think about it, I’m actually kinda surprised that Nintendo never tried to change Bowser’s name back to match the Japanese name like they did with Toadstool/Peach. If I had to guess — which I do — I’d suggest it’s because “Toodstool” is not a very cute name, and doesn’t really fit the design vision for the character very well, whereas “Bowser” is just badass. Did they change “Robotnik” back to “Eggman” because Naka is like Kojima when it comes to localization? Ah – you’ve got it backwards. Peach in Japan became Peach here too; before that it was Toadstool here. English Bowser will never become English Koopa, however, probably because the “Koopa” name has been replaced by the smaller turtle-shelled enemy known as koopas. 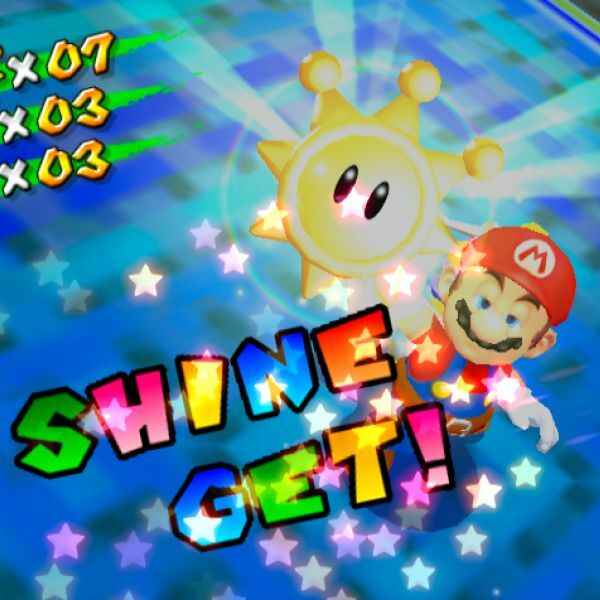 The most noticeable instance is probably the voice acting of Super Mario Sunshine, which is done in English for all regions. Even though a few of the lines are alternate takes in the Japanese version, they still say Bowser practically everywhere (even though the subtitles instead write “Koopa” rather than following the audio). Makes sense. Mario and company would sound terrible in Japanese (and I’ve heard proof of it too). Is it wrong that I actually liked that? Actually it’s used in Mario Kart Wii. A Bowser-themed bike, known as Flame Runner in the USA version and Bowser Bike in Europe, in Japan is called Super Bowser. Didn’t see that someone else already brought it, sorry. I had actually thought of asking about this line, amongst others from that game, but never imagined it’d show up like this! I have also always wondered about Belome’s line “If you defeat me, you still won’t beat me. Beware the flood!” after you beat him in Kero Sewers, especially since right after Mallow asks about whether or not Belome was lying about rushing water, or some such wording that was just slightly off. What was the line supposed to be? It almost seemed like it was supposed to be a poem, but it just didn’t work out. *The E at the end of Belome’s name is silent. His name is pronounced “beh-loam”. I grew up thinking “be-lo-may”, so I thought I would mention it in case anyone else was wondering. *Belome uses the word “water” (「水」) directly in his warning, so I believe that Mallow’s mention of “when he said water would come rushing in” is a much more natural transition than in the English script. *Belome has a verbal tic that he says after every sentence, which is pronounced “…ndanaa.”. …and just after posting the above, I noticed that less-than and greater-than signs are not allowed in comments. For future reference, can we use the HTML/XML escape codes like “<” and “>” (if those got encoded, then “&lt;” and “&gt;”)? I’m not really sure – you can try it out probably. Since I’m an admin it’ll probably let me put whatever I want, so I can’t test it easily. Mallow: Look at that… Belome told us water would come out, but it looks like it’s completely empty. Mallow: … huh? What’s that sound? Even that makes a lot more sense! I wonder why they translated it to rhyme. Maybe to make up for leaving out the verbal tic? Thanks for this, though, it’s really interesting! Wow, thanks for all that! I always pronounced it “beh-loam” myself, but I heard others say it your way later so I did kinda wonder which was “right”. I said this in the reply below (above?) but maybe the weird rhyming speech thing was an attempt to keep his speech different without introducing a verbal tick that audiences at the time may not have understood. Thanks so much for this reply. It’s fascinating (to me 😛 )! Haha, I actually found this out for myself a few years back. 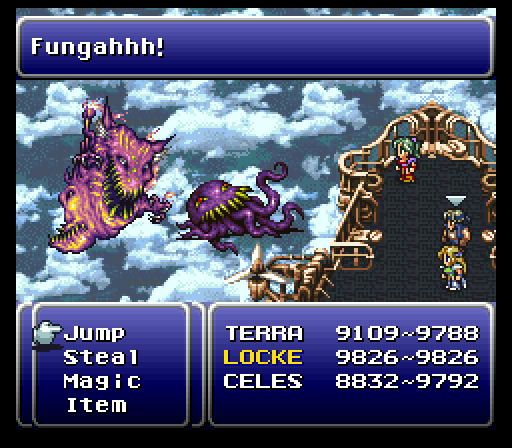 When I was a teenager playing SMRPG, I always assumed “fungah!” was supposed to be some Mushroom Land cuss word since it’s so close to “fungus”. Then several years later I happened to be watching a Japanese playthrough of the game on YouTube, and after seeing “fungyaaa!” I realized it isn’t supposed to be a cuss word, but some sort of strangled cry when he gets bopped. Oh lord, PETA and its usual stupidity because they want to make all fast food establishments into the devil. I’ll never forget their retarded attempts to get people’s attention. I wonder if they’re aware just how stupid they truly are.